According to Amazon, this release has been delayed until December 1st. 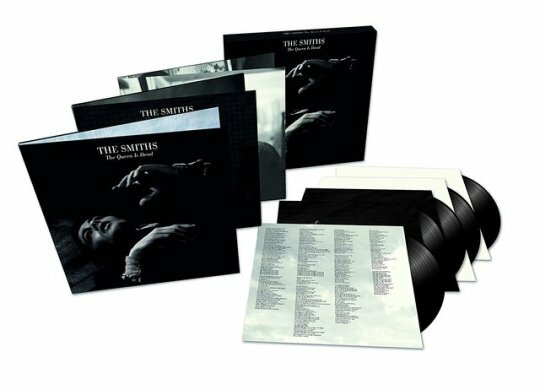 I’m gonna get this set.It is a fantastic album.Happy to see that it’s being given the remastered treatment with bonus tracks. If anyone has contact with TD3, tell her the 1st 3 Sylvers albums are now available as import CDs from Japan. As such, they're going to cost a bit more though. Widely considered to be both The Smiths’ finest work and one of the greatest albums ever made, The Queen Is Dead has cast a significant influence over subsequent generations since it was first released in the summer of 1986. Now Warner Bros. Records can confirm details of a newly remastered and expanded version of the album that will be released on October 20. Recorded at the Great Woods Center For The Performing Arts on August 5, 1986. 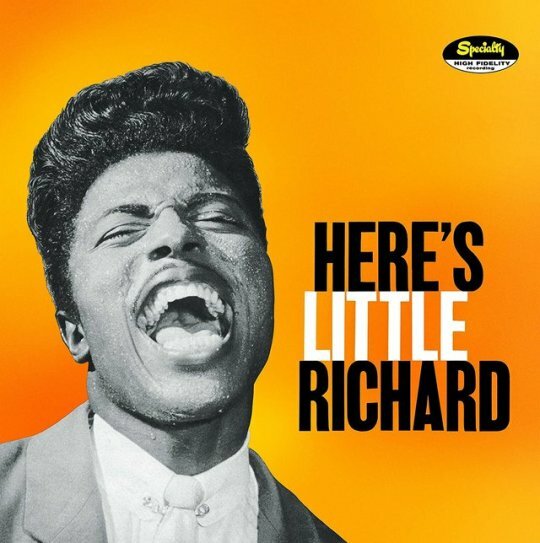 Little Richard will celebrate the 60th anniversary of his debut LP Here's Little Richard with a deluxe reissue that pairs the original 1957 album with a disc full of alternate takes and demos. Eight of the 22 tracks found on Here's Little Richard (60th Anniversary Deluxe Edition)'s are unreleased, including never-before-heard takes on "Ready Teddy," "Rip It Up" and "Slippin' and Slidin'" from the original recording sessions. One of the standouts is an electrifying alternate take of "Can't Believe You Wanna Leave," a deep-album cut that eventually came out as the B side to "Keep A-Knockin'." The previously unreleased version, premiering here, finds Richard overpowering his vocal mic (which is probably why it wasn't selected for the album version) but it's so raw and unwieldy when compared to the (only slightly more) subdued LP cut that it's a bonafide lost rock & roll gem. The two-disc set, which features liner notes by music journalist Chris Morris, is due out November 3rd. The Beatles announced today (Nov. 2) that on Dec. 15, just in time for the holidays, they will be releasing a limited-edition box set of their Christmas holiday messages, originally given only to fan club members on flexi-discs from 1963 to 1969. The limited edition set will include seven 7-inch colored vinyl singles, one for each of the seven messages. The Christmas records have never been given general release as a set before, though one was made available as part of The Beatles Rock Band video game. The seven holiday messages were titled The Beatles Christmas Record (1963), Another Beatles Christmas Record (1964), The Beatles Third Christmas Record (1965), Pantomime -- Everywhere It's Christmas (1966), Christmas Time (Is Here Again) (1967), The Beatles Sixth Christmas Record (1968), which includes a guest appearance by Tiny Tim singing the Beatles song “Nowhere Man,” and The Beatles Seventh Christmas Record (1969). The first five take up only one side of each separate disc, while the last two are double-sided. Each single will include a sleeve with the original artwork from the fan club discs. The box will also have an added 16-page booklet with recording notes and reproductions of the fan club newsletters that was sent to fans with the original discs. Also on Dec. 15, the Beatles will continue their celebration of the 50th anniversary of Sgt. Pepper's Lonely Hearts Club Band with three more releases -- a high-res audio version (90kHZ/24 bit) of the deluxe edition of the album from earlier in the year, along with two vinyl discs. 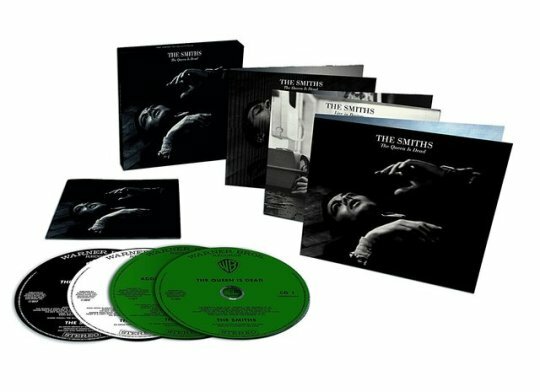 The hi-res tracks package will feature the 2017 stereo mix as produced by Giles Martin, plus 18 added tracks with complete alternate takes, an instrumental mix of “Penny Lane” and two alternate takes of “Strawberry Fields Forever.” The two vinyl versions will feature a 180-gram black vinyl album and a limited vinyl picture disc. The Beatles previously announced that the Ron Howard-Beatles film The Beatles: Eight Days A Week – The Touring Years will premiere Nov. 25 on PBS. The documentary, which has won both Emmy and Grammy Awards, follows The Beatles in concert from their earliest days to the final show at Candlestick Park in San Francisco in 1966 and was previously shown on Hulu. The broadcast will be followed by the encore broadcast of Sgt. Pepper’s Musical Revolution, hosted by Howard Goodall, which looks at the creation of the album Sgt. Pepper’s Lonely Hearts Club Band. Check your local schedule for exact times. Additionally, The Beatles Channel on SiriusXM will also present a special Eight Days a Week episode of their The Fab Fourum series hosted by Dennis Elsas and Bill Flanagan from 9 to 11 p.m. ET Nov. 15, before the PBS airing of the film. The Royal Philharmonic Orchestra matches Aretha Franklin's vocals with a new kind of sweeping soul on the upcoming LP A Brand New Me: Aretha Franklin With the Royal Philharmonic Orchestra, out November 10th. Note that the LP edition drops two songs. The record pairs Franklin's classic vocal takes with new arrangements from the Royal Philharmonic. On "Think," the Orchestra opens with a punchy blast of horns, strings and piano that builds with a touch of unease before segueing seamlessly into a steady groove. The Royal Philharmonic continues to buoy Franklin's vocals with plenty of grandeur, while singer Patti Austin and her crew of backing vocalists give the song a choral charm. 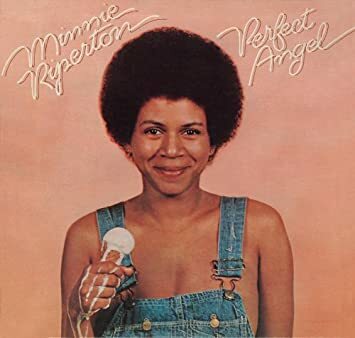 Along with "Think," A Brand New Me features new renditions of "Respect," "Don't Play That Song (You Lied)" and "Angel," as well as Franklin's versions of "A Natural Woman (You Make Me Feel Like)" and "Let It Be." "There is nothing more exciting than that incredible voice taking you on an emotional roller coaster ride through her amazing repertoire of songs," said Nick Patrick, who co-produced A Brand New Me with Don Reedman. "To have the opportunity to work with that voice on this project has been the greatest honor and to hear a symphony orchestra wrapped around those performances is breathtaking." Prior to A Brand New Me, the Royal Philharmonic released two albums featuring new arrangements with old Elvis Presley vocal takes, 2015's If I Can Dream and 2016's The Wonder of You. Earlier this year, the Orchestra teamed with the family of Roy Orbison for a similar compilation, A Love So Beautiful, while an Elvis Christmas album was released on October 6th.